This is a birthday card I made for a friend and fellow demonstrator Angela. She is having a high tea to celebrate her birthday so I wanted the card to reflect that if I could. 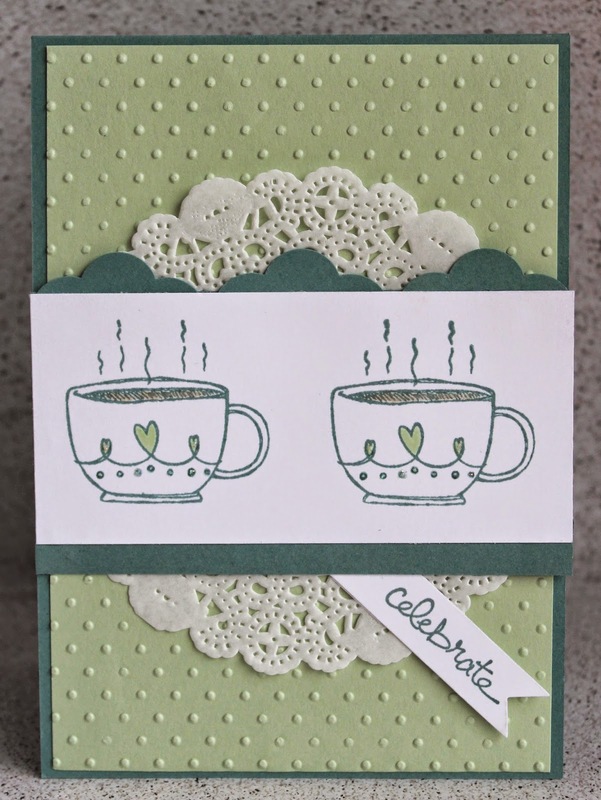 The sentiment "celebrate" comes from the new Good Greetings stamp set. You can earn this stamp set free until the 31st October when you qualify for hostess rewards.